When you apply for a home loan, most banks require property valuation by a professional valuer. In some cases, lenders carry out the valuation process themselves. However, sometimes the bank valuation can be challenged. A number of valuation firms that work with some of the leading banks receive a high volume of dispute requests, however, it isn’t always successful. We do have a few solutions if you have a bad bank valuation, including a recent case study [from 2019] below ⬇️ where we were able to get a $130,000 increase in a clients property valuation so keep reading! As we covered above, it is very difficult and unlikely challenging a valuation will be successful. However, at Hunter Galloway, we can assist with arranging another valuation with another bank and alternate valuation firm and you could be surprised with the results. As you can see getting another bank valuation resulted in a $130,000 increase in the value of the property. This is the exact same property, at the same time – just by different valuers. Get in touch with our brokers today to see if we can assist with arranging another valuation for you or call us on 1300 088 065 to discuss. It is estimated that only 3 percent of clients are able to successfully challenge a valuation. However, it does not rule out the fact that bank valuations are not always correct. In some cases, people have observed a difference of about $200,000 between valuations of two different lending institutions, with the average difference sitting at about 9 percent. 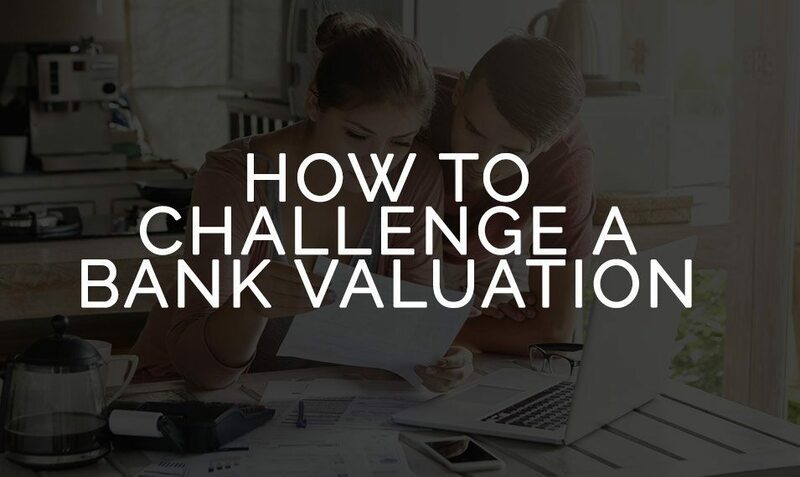 Challenging a bank valuation might not be the best way to increase your property’s value. Property valuation is crucial when it comes to refinancing. In case of a low valuation, loan to value ratio (LVR) becomes higher. High LVR requires lender’s mortgage insurance which ultimately increases the overall cost related to your home loan and decreases the equity amount that you can get access to. The primary reason for low valuation is the fact that valuers do not find any supporting evidence for comparable sales of similar properties, and are unable to find supporting evidence for the estimated value of that property. There are a few lenders that give you access to the copy of a valuation report, which can help you in identifying other reasons associated with a low valuation too. You can also research yourself and find houses that have recently been sold and are similar to your house. Which can serve as evidence of the value of your home. Therefore, when a valuation company approaches you to carry out the property valuation, you can show the copy of that sales evidence. If a lender shows you a file that contains property valuation and you do not agree with the figures, it is better to get a private valuation. You can also go to another bank for the property valuation. In any case, banks always use the lower of the two valuations. In this circumstance, you can choose a different lender if you do not get the expected value. Submitting another loan application can adversely affect your creditworthiness by affecting your score. The reason behind it is due to placing a large number of inquiries on your credit file. There are some banks that offer a free up-front valuation before you send an application for a home loan. Therefore, make the most of this opportunity and go for this option in order to avoid sending too many applications. Not only does it decrease your stress, but also allows you to maintain a good credit rating. Regardless of what loan type you are applying for; consult Hunter Galloway for advice tailored to your individual circumstance. This will ensure you get the best deal that will enable you to avoid the unnecessary cost associated with a product.